Firstly from all of us at El Sueno Existe Festival, a warm hug of Congratulations for the result of the run off election on 2nd April to you and the Ambassador. And of course to the People of Ecuador for their free and democratic choice to continue the Citizens’ Revolution! 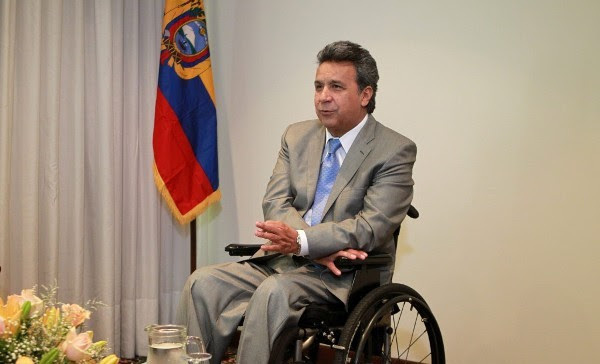 We know this has huge significance for the People of Ecuador, and also for the Bolivarian ideals of Latin America, which have suffered recent setbacks particularly in Brazil and Argentina. Let us hope this is a turning point in the struggle against neoliberalism in Latin America and the world. Some of the planning of the festival has been waiting for the final election result, so now we can continue knowing the political situation and that Lenin Moreno is the new President. We know the spirit of Victor Jara is alive and well, in Machynlleth and in Ecuador and wherever people come together to work and sing, write and struggle, play music and organise for a better, fairer world. We are indeed very happy and proud of the Presidentiual Election results and the victory of our candidate Lenin Moreno. Many thanks for your support for the Citizens’ Revolution. We are also delighted that the Referendum banning public office holders from keeping funds in tax havens was passed with a clear majority. We have difficult times ahead, but together and in solidarity we are much stronger to face the challenges. Looking forward to see you all at the Victor Jara festival “El Sueno Existe” this year in late July!